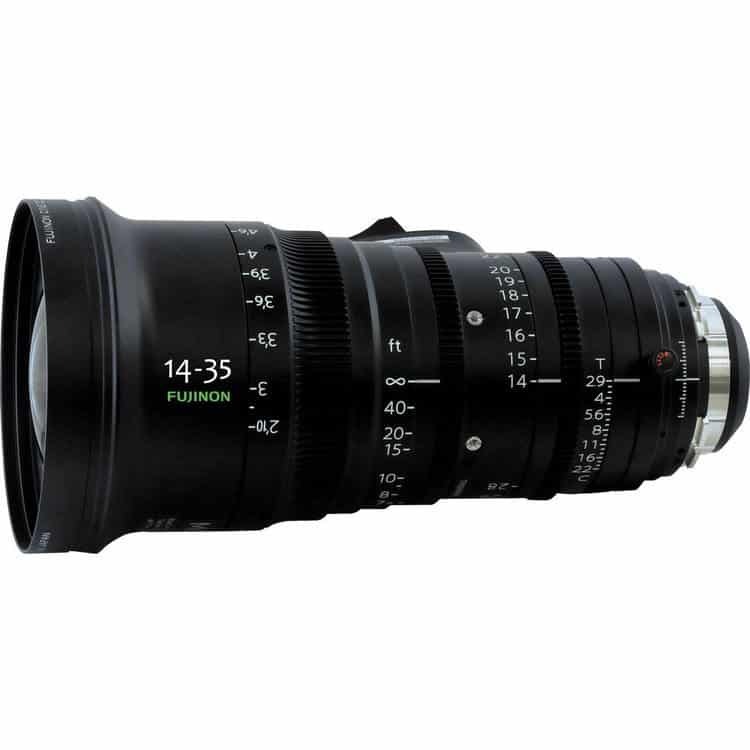 Fujinon ZK2.5×14 is a wide angle zoom lens with a focal length covering from 14 to 35mm. Thanks to the detachable servo drive unit on the ZK series, the lens can be operated in the same manner as a traditional broadcast ENG-Style lens and accessories. Furthermore, with the servo drive unit removed, traditional cinema manual, or external cine motors for zooming and focusing operation is also available for all models of this series. Fujinon ZK2.5×14 With the latest optical simulation technology and high precision large diameter aspherical elements, it has achieved both high optical performance and a lightweight compact body of 2.9kg. Thanks to high resolution from the center to corner, high image quality without image distortion will be exhibited on the large screens of movie theaters.